The WPS Montreal Paratriathlon will serve as the first race included in the Tokyo 2020 Paralympic rankings, and therefore is of significant importance. All of the top contenders will be there. This event is crucial towards both qualification for the 2020 Tokyo Paralympic Games as well as the only chance to race on the exact course before the games. US athletes (including myself) will have the opportunity to solidify their spot on the team at this event. This race will crown the 2019 World Champion in all paratriathlon categories, and is another significant qualification race for the 2020 Paralympic Games. The CAMTRi Championships are the continental championships for North, South, and Central America, and is a significant event in determining who leads the US Team as hopefuls for the 2020 Tokyo Paralympics. Despite being well known for its hilly terrain and the very famous Heartbreak Hill, the Boston Marathon actually has a negative net elevation gain. This does not however make the Boston Marathon a "fast course". Times are in Rio's Time Zone. Here are a couple of links for following the paralympic games. For the first time in history the ITU World Championships will be held in North America for two consecutive years. This race is of huge importance for many of the paratriathletes racing as automatic qualifying slots for the the 2016 Rio Paralympics will be up for grabs to the winners of each category. For other categories, its just another World Championship. Come watch me back in my midwest home. Sprint Distance 750m Swim, 20K Bike, 5K run. 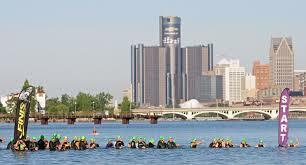 On the banks of the Detroit River lies a small island known more for its auto racing and boating than for triathlon but the World circuit will be rolling through the Motor City in 2015. Another race with valuable World Rankings points will be on the line. This will be a sprint distance triathlon of 750m Swim, 20K bike and 5K Run. TORONTO 2015 will be the fifth edition of the Parapan Am Games and will feature 1,608 athletes from 28 countries competing in 15 sports. All sports will be Paralympic qualifiers for the Rio 2016 Paralympic Games. There will be a Para-Cycliing Road Race and TT during the Toronto 2015 Para Pan Am Games. The best in Para-Cycling will gather in Notwill, Switzerland in the end of July for the UCI Para-Cycling Road World Championships. Results here will be a big determinant on who will be representing their country in Rio at the 2016 Paralympic Games. Both road Time Trial and Road Race will be competed at this event. The third stop on the UCI Para-Cycling World Cup calendar will be in Elzach, Germany. A road race and a time trial will be run at this event. The second UCI Para-Cycling World Cup of 2015 will take place just outside Geneva Switzerland in a city known as Yverdon-les-Bains. The first of four Para-Cucling World Cup events takes place in Maniago, a part of Venice, Italy and will include a time trial and road race. Courses will be fairly flat and will finish in the city plaza. As part of the US Cycling Pro National Championships in Chattanooga, TN they will also hold a US Para-Cycling event at the same venue. A selection race for the US ParaCycling National team and for the 1st and 2nd World Cup races that take place just a few weeks after. This event is subject to change but there will be a selection race in May if not this race. The ITU Pan American Paratriathlon Championships crowns the champions in paratriathlon among the continents of Noth America, South America and Central America. This championship race moves to a new location each year and in 2015 it is being held in Monterray, MX. Valuable World Rankings points can be earned at this race. It is a sprint distance triathlon including 750m swim, 20K bike and 5K run. The CCVI (Children's Center for the Visually Impaired) Trolley Run is the largest timed 4-Mile race in the country. It is held every year in Kansas City, Missouri and is a great fundraiser helping support the development and preparation on young children with visual impairments into a highly visually oriented society. The course is flat and fast. It actually may just be a net downhill. The Boston Marathon is one of the most historic and iconic marathons in the world. It is one of the Big 5 Marathons in the world and is one of the most coveted of races to compete in for runners across the world. It is probably the only endurance event that an entire city's schedule is arranged around a running race. In 2014, there were over 2 million spectators on the course.